The month of May turned out to be the second best-selling month so far this year for American Eagle Silver bullion coins. Bullion 2017 American Silver Eagles in May more than doubled those in April. The U.S. Mint sells its investor-quality strikes to a network of authorized purchasers, who took in 2,455,000 coins in May. That number was considerably higher than the 835,000 taken in April. 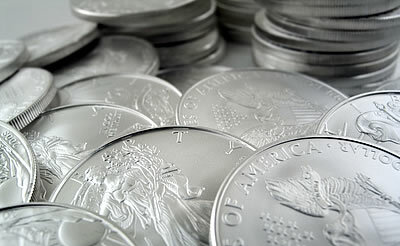 The only better month was January when 5,127,500 American Silver Eagles sold. Compared to record-breaking sales in 2016, however, 2017 is lagging. In May last year, a memorable 4,498,500 coins sold, and the overall cumulative number was at 23,413,000 versus the 11,247,500 it is now. As for the U.S. Mint’s numismatic side, the 2017 Proof American Silver Eagle won in the weekly silver category for the fifth time in a row. Consumers picked up 5,708 of the silver coins, and their next favorite white metal product was the 2017 America the Beautiful Quarters Silver Proof Set, with 1,395 sales. The table below shows the latest sales stats for collector coins and related silver products from the U.S. Mint. Monday, May 29, is the as of date for the standard collectibles and Friday, June 2, is the as of date for the bullion products.